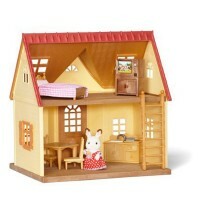 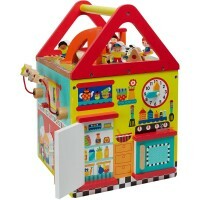 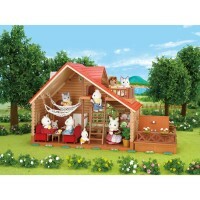 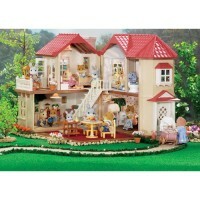 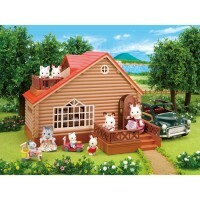 Hape's award winning All Season House Wooden Dollhouse (unfurnished) brings hours of imaginative play without bounds. 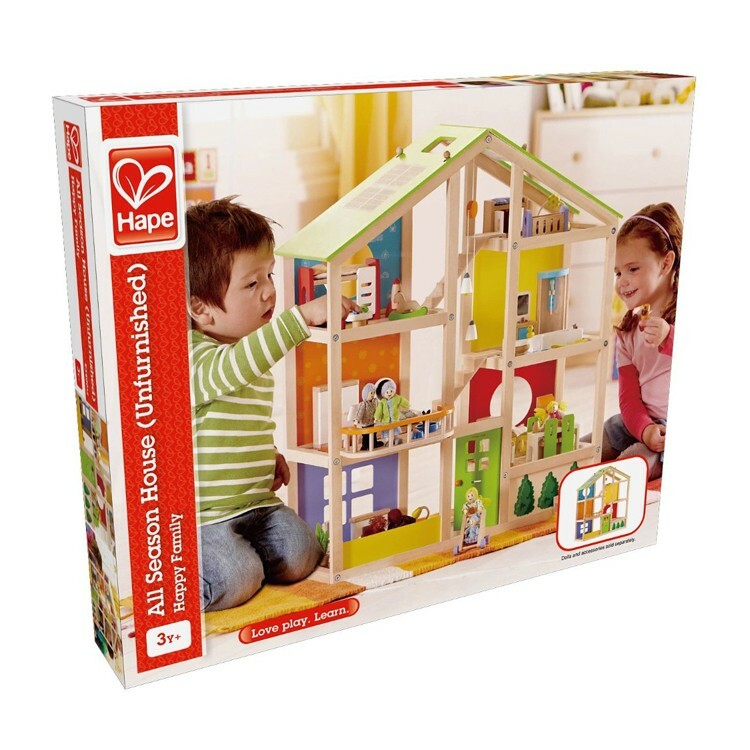 There are as many ways to play with this Hape's All Season House Wooden Dollhouse as there families in the world. 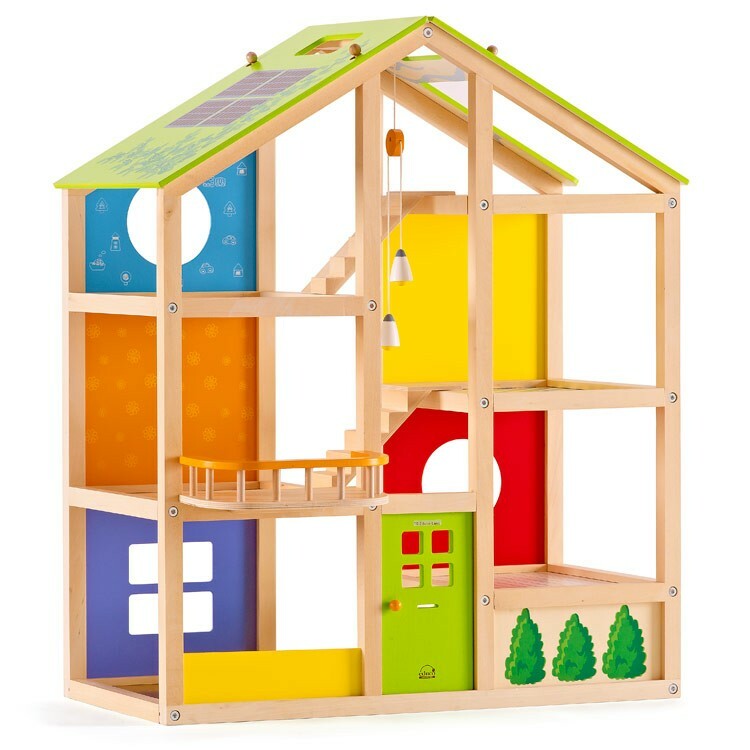 This dollhouse features 6 rooms, moving stairs, and a reversible winter/summer-themed, solar-paneled roof inspire year-round activities. 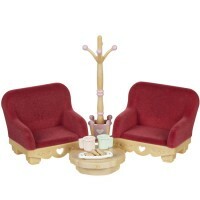 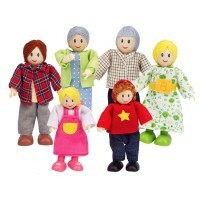 Furnishings and doll families for the All Season House Wooden Dollhouse are sold separately. 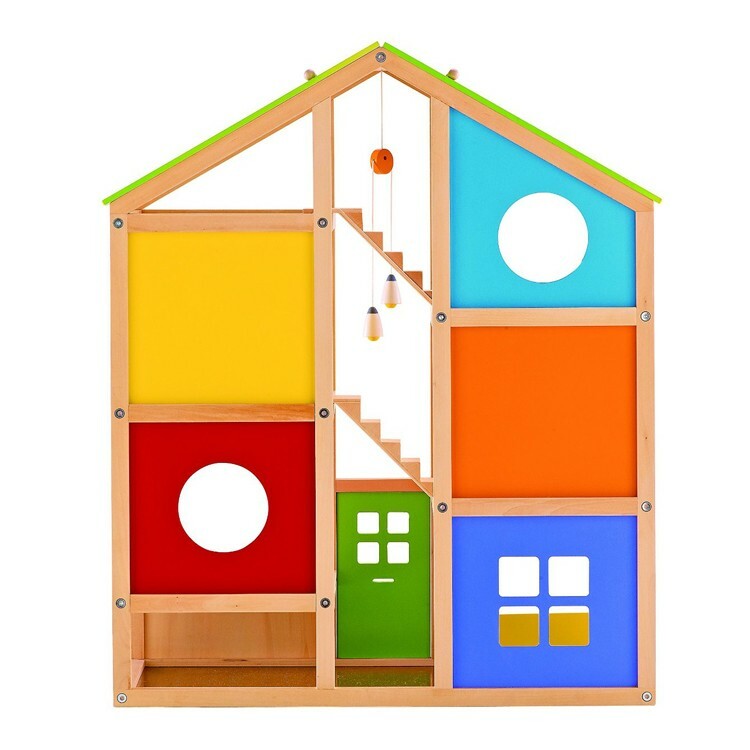 This wooden doll house encourages imitative and imaginary play; promotes fantasy story telling, role playing, and creativity, social skills, and language development. 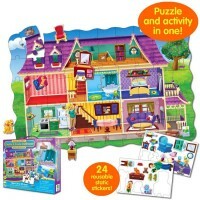 Dimensions of package 11.81" x 23.62" x 28.9"
Write your own review of All Season House Wooden Dollhouse.